NASHVILLE, TN — Seven veterans graduated from the Davidson County Veterans Court program on Monday, August 7, at 1:30 p.m. Veterans Court is an alternative program designed to help veterans who are charged with non-violent offenses. Upon successful completion of the program, charges against them are expunged. The graduation will take place in Courtroom 3-B at the Justice A.A. Birch Courthouse, 408 Second Avenue South. Veterans Court is a three-phase program including therapy, drug and alcohol recovery, and assistance employment and long-term housing. 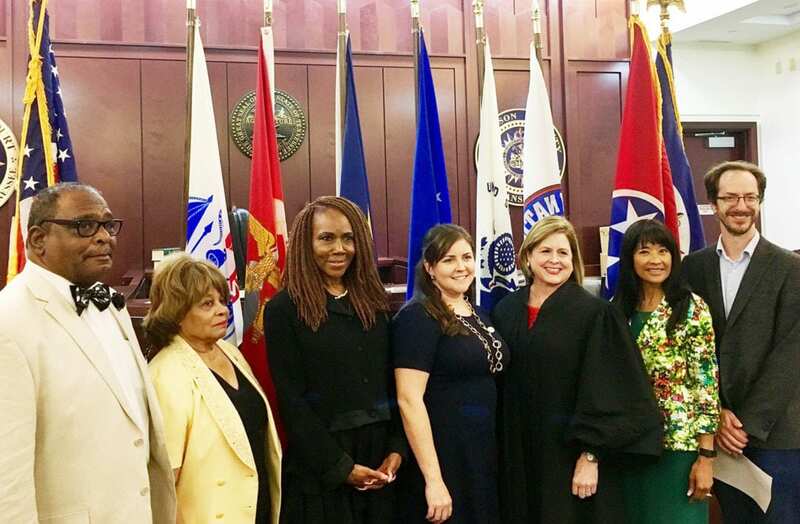 Judge Melissa Blackburn presides over the program, which has assisted nearly 90 veterans in the three years she has been involved. Tennessee Tribune publisher Rosetta Perry, a U.S. Navy veteran, was the speaker at the graduation. Veterans Services Commissioner Many-Bears Grinder will also attend. A cake reception will follow the graduation.